Jim Molan at Parliament House in Canberra. AUSTRALIA is in "real trouble" of running out of fuel by the end of next month in the wake of the Syria strikes, according to experts. The International Energy Agency mandates that countries hold a stock in reserve "equivalent to 90 days of net imports" but Australia only has 43 days worth of supply, The Australian reports. 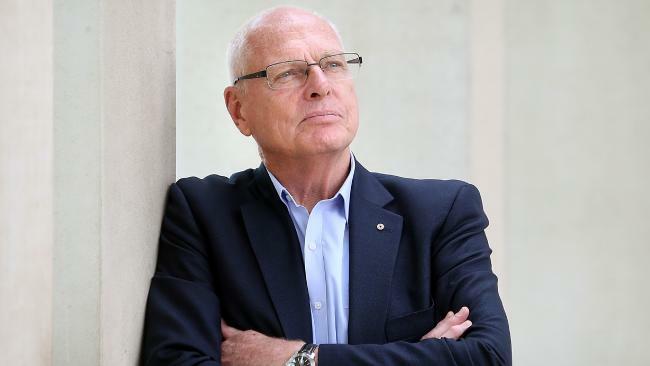 Liberal Senator Jim Molan, a former major general in the Australian Army, this morning told 2GB that "we stand in real trouble and this is a single point of failure for Australia, very similar to what could happen in a cyber situation". He said the government had taken a "business as usual approach" and that it was now time to "see action". "It happens because for too long we have taken a business as usual approach," Mr Molan said. 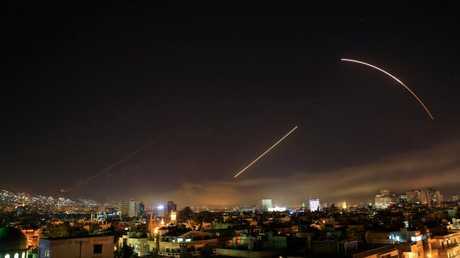 Missiles streak across the Damascus skyline as the US. launches an attack on Syria targeting different parts of the capital. Picture: AP /Hassan Ammar. "It's like saying we can determine the size and shape of the Australian Defence Force based on commercial factors and making the market decide. "The way that we seem to get around this is that we buy credits overseas which ignores the entire problem. "Those credits say that if things go wrong we can buy from overseas but hang on our supply lines of communication by ship are likely to be either threatened or because of insurers nothing will come to us at all." According to Mr Molan, Australia has just three weeks' of motor fuel stocks and an eruption of tension in our region could immobilise civilian and military vehicles. "I can't imagine that armoured vehicles in the forces in the near future are going to work off renewables or off electricity or off whatever," Mr Molan told Sky News today. 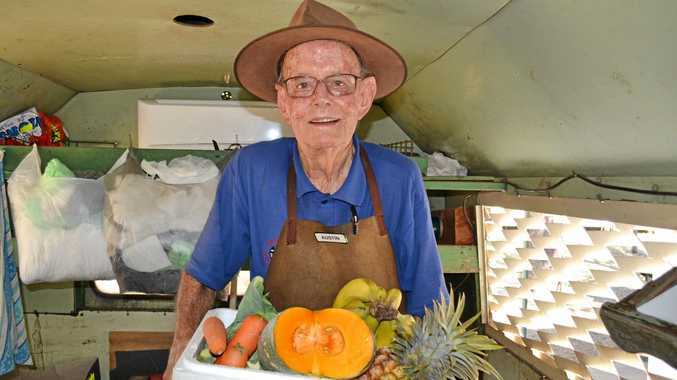 It would be difficult to keep Australian vehicles going should there be conflict in the Middle East, Korea, or elsewhere in our neighbourhood, he said. Prime Minister Malcolm Turnbull today announced General Campbell would take over from the retiring Air Chief Marshal Mark Binskin in June. Mr Molan, whose military career includes serving as Chief of Operations in 2004 at the headquarters of the Multinational Force in Iraq, today outlined the risks he saw. He said 60 per cent of the engine fuel used by Asia came from the Gulf. "So we see streams of ships coming round from the Gulf, coming across the Indian Ocean, going through the straits through the South China Sea to where it's refined for us," he told Sky News. "It's refined in Singapore, yes, but it's also refined in Japan, in Korea and in China. It then is turned into diesel, aviation fuel and petrol and comes down in ships to Australia's ports." Earlier this year, Mr Molan said Australia was one of the few places in the world that didn't have a government-mandated strategic reserve of fuel. According to him, if Australia's current stockpiles of petrol, diesel and aviation fuel ran dry then the military would effectively be grounded in that time. Defence Strategy and Capability at the Australian Strategic Policy Institute senior analyst Dr Malcolm Davis backed Mr Molan's comments, saying Australia's fuel reserves would last "20 days at best" if supplies were cut off. He said Australia was "one of the few countries in the world that does not take our energy security seriously". "It would be a Mad Max world. Our society and our economy would begin to fall apart very quickly," Dr Davis told news.com.au. "It's like electricity - everything depends on fuel to make an economy run. It is very serious. "We've left ourselves in a perilous situation and governments on both sides have been negligent in this regard. "Military analysts have been warning consistently for years and they just ignore it." Dr Davis explained most of Australia's fuel is transported through narrow straights by tanker ships. "Instead of investing in refinement facilities here for refining fuel, the government has decided it's cheaper to do it overseas." One of the key facilities is in Singapore. "The price they pay for that in a crisis is that China can interrupt flow to Australia relatively easy and our economy falls apart. "It's very negligent of the government to let this situation happen. It's even more appalling we've been warning both political parties for years about this." Dr Davis warned the US military had become severely depleted since the Bush administration and said China, Iran, North Korea and Russia had become "direct threats". 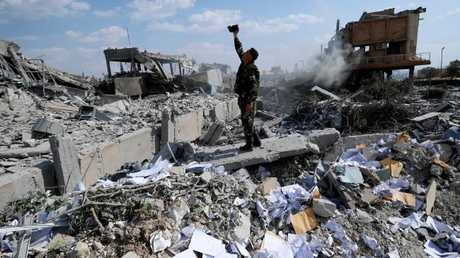 A Syrian soldier films the damage of the Syrian Scientific Research Center which was attacked by U.S., British and French military strikes to punish President Bashar Assad for suspected chemical attack against civilians, in Barzeh, near Damascus, Syria. Picture: AP /Hassan Ammar. US President Donald Trump hailed Saturday's strike targeting Syrian President Bashar al-Assad's chemical weapons capabilities as mission accomplished. The strikes were in response to a suspected poison gas attack by Assad in the Damascus suburb of Douma last weekend. Australia has backed the mission, with Mr Turnbull calling it "a calibrated, proportionate and targeted response". Mr Molan expects Russia to retaliate. "There's no way in the world this is the end of the activity because that's up to the Russians," Senator Molan told the Nine network. "(There's) been threats made by the Russians, by the Iranians, they are mixed up in the Syrian activity." He expected Russian President Vladimir Putin to counter, possibly with a cyber attack, and release a lot of disinformation. "The limited nature of what the Americans have done removes a lot of options from him," Senator Molan said. Senator Wong said the opposition, like the Australian government, disagreed with many of the actions taken by Russia. "We continue to be critical of them, in a great many respects, including in their actions in relation to Syria." Mr Ciobo told the ABC that Russia had a choice to make. "Do they want to be alongside murderous regimes that use chemical weapons against their own people?" he said. "Or would they rather be aligned with those countries that are motivated to protect the innocent and to try to bring a successful peaceful resolution." Overnight, the UN Security Council rejected a Russian resolution calling for condemnation of the "aggression" by the US and its allies against Syria. Russia got support from only two other countries on the 15-member council - China and Bolivia.